“Moderaum Kersting” in Bonn-Bad Godesberg, a third-generation boutique, offers its customers the latest fashion of well-known brands and exquisite advice. 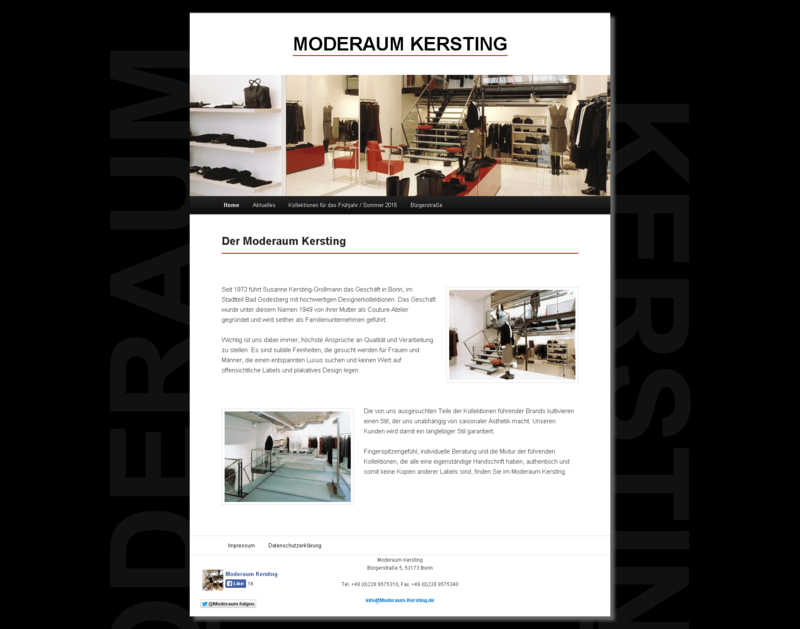 ilscipio created the new Internet presence on WordPress basis for Moderaum Kersting and advises on the implementation of an online marketing strategy. In addition, ilscipio also supports the Kersting-Grollmann families in search engine optimization and the development of a joint shop.